Self-catering Gîte with 4 bedrooms and 3 bathrooms. Sleeps 10. Non-applicable changeover. Self-catering Maison de Maître with 6 bedrooms and 3 bathrooms. Sleeps 12. Saturday changeover. Self-catering Gîte with 6 bedrooms and 4 bathrooms. Sleeps 12. Non-applicable changeover. 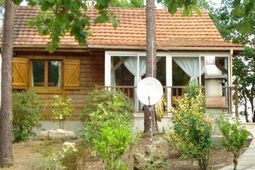 Self-catering Gîte with 3 bedrooms and 3 bathrooms. Sleeps 6. Non-applicable changeover. Self-catering Maison de Maître with 6 bedrooms and 5 bathrooms. Sleeps 12. Saturday changeover. Self-catering Chalet with 2 bedrooms and 1 bathrooms. Sleeps 6. Saturday changeover. Flaujagues sits peacefully on the banks of the River Dordogne from where, not so long ago, boats would be loaded with oak casks of the local wine, to be taken gently downstream to Bordeaux. Today the wine is equally important and you can taste before you buy at the village winery. Here they sell wine to suit all tastes from light fruity rose to full bodied oak aged red. At the heart of the village is "Cepe et Sarment" where Elodie & Phillippe run a very successful restaurant, bar and shop. Specialities like entrecote steak and succulent duck breast are cooked over the embers of vine twigs, or sarments as they call them here. During the summer the village hosts several events where the emphasis is on everyone sitting down to a good meal and drinking lots of wine in the village square, all to the sound of a local band. The village has a claim to fame as Pierre Loti, a writer well known in France, once lived here. A lovely vineyard, woodland & riverside walk has been created in his name.